An ALTA Land Title Survey (also called an ALTA Survey or ALTA Title Survey) is completed based on the “Minimum Standard Detail Requirements and Accuracy Standards For ALTA/NSPS Land Title Surveys.” This standard document was developed and is revised on a regular basis by a combination of Title industry and Surveying industry professionals. The latest version of this document is the 2016 revision. 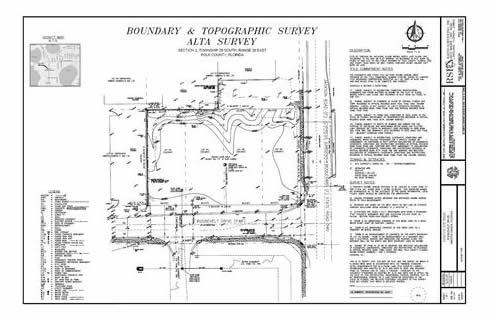 An ALTA Land Title Survey is generally similar to a boundary or lot survey on a piece of property. But, the ALTA survey goes a little farther in the requirements on the land surveyor as he/she carries out the survey, both in the field and in the office. Since ALTA Land Title Surveys take more time and effort, these surveys typically cost more than a survey done according to a particular state standard. It should be pointed out that if the state standard is more restrictive on a certain point, then the most restrictive standard is required on the survey. I see ALTA surveys priced from 50% to 200% more than a comparable boundary survey. This depends on the items checked in “Table A – Optional Survey Responsibilities and Specifications.” This table adds additional or specific tasks to the surveyor’s scope of work. One item that is usually included with most all ALTA survey requests is Item #1, monuments placed. Most state standards probably include this and, in my opinion, all surveys should, but the ALTA survey leaves this optional unless the item is checked on Table A. If we can help you with an ALTA Survey in the future, please don’t hesitate to contact us at Brandon Bailey, PLS at (251) 281-2081 or fill out our contact form to the right or on our Contact page. I see ALTA surveys priced from 50% to 200% more than a comparable boundary survey. This depends on the items checked in “Table A – Optional Survey Responsibilities and Specifications.” This table adds additional or specific tasks to the surveyor’s scope of work. One item that is usually included with most all ALTA survey requests is Item #1, monuments placed. Most States’ surveying standards include this and, in my opinion, all surveys should, but the ALTA survey leaves this optional unless the item is checked on Table A. Uniform Standard. The ALTA standards are a uniform nation-wide survey standard. 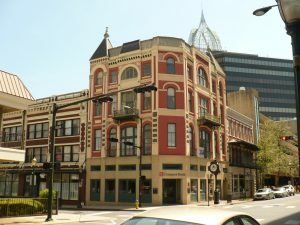 These national standards make it easy for the title company to review the survey and write title insurance on the property, which controls the financial risk for the owners and lenders. Encroachments/Easements Shown. Encroachments are when a property owner violates the property rights of his neighbor by building something on, or over, the neighbor’s land. If described sufficiently, an ALTA survey should show potential encroachments and plot recorded easements on the survey drawing. Whether a potential encroachment or physical condition is an actual encroachment or not is a legal determination. Familiarity. Most all of the parties in any deal – lenders, attorneys, surveyors, and title professionals – are familiar with the ALTA survey standards. Working together with this same survey standard allows them to “play off the same sheet of music,” so to speak. Title Research. The surveyor has the advantage of having the deed research from the title commitment before issuing the final version of the survey. In other standards, this is not required. ALTA Table A Items. The ALTA survey standards include a list of optional items (Table A) that may be needed and ordered when the original survey is ordered. This may save money since the work is done at the same time as the boundary survey. Title Exceptions. Title exceptions are matters which are not covered by the title insurance policy. Two, or more, such exceptions deal with matters which may be found by an accurate survey of the property; encroachments, for example. Exceptions limit the liability of the title insurer to the insured. Completion of an ALTA survey allows the title insurer to remove those exceptions. Consistent Scope of Work. Usually the hardest part of any contract is determining the scope of work and how it will be completed. The ALTA survey standards provide a consistent scope of work that has been used since 1988 and is frequently reviewed and updated to conform to the latest technology and legal issues.